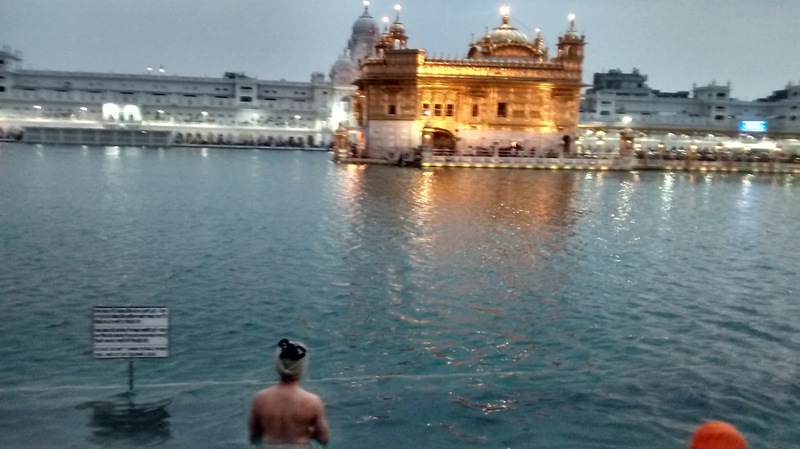 Harmandir Sahib, the Golden Temple in Amritsar, is a place like no other I have experienced before. It does something to me. Though it is always filled with hundreds, perhaps even thousands, of people, somehow, I feel like I am the only one around. There is something magical about taking off my clothes , and entering that sacred pool to stand neck-deep in water, face the shrine, and soak in that meditative moment made special by the devotional music that fills the air. That primordial sense of surrender to the elements is both refreshing and humbling. In that moment, there is no baggage to be held, no fears to be exorcised, no work routine to get back to. It is just me, in my skin, feeling grateful for the miracle of being brought there. May all beings experience this gift of peace.